The Path to Pot: Will legalizing marijuana help disenfranchised communities? If marijuana becomes legal for adult use in New York state, the new industry is expected to generate hundreds of millions of dollars in tax revenue. But how will the new funding be spent? The push to legalize marijuana should get a big boost soon from Gov. Andrew Cuomo. "That legislation is being crafted. I expect it to be introduced next year. The when and the how, we're not clear about," Cuomo said, during a recent stop in Buffalo. Assembly member Crystal Peoples-Stokes says she expects the governor will unveil a bill in his budget proposal in January. Peoples-Stokes sponsored the Marijuana Regulation & Taxation Act in the Assembly. "One of the things that I realized real clear is that there is a ton of money to be made here," Peoples-Stokes said. The legal adult-use marijuana market is expected to generate nearly $1 billion in new revenue, according to a state Health Department report issued in July. Peoples-Stokes says the Assembly's bill requires investing some of the revenue in communities disenfranchised during the war on drugs. "I think another portion of those revenues should, without a doubt, be used to provide small businesses opportunities for low-interest loans and or micro-loans," Peoples-Stokes said. She also wants a portion of the revenue for community schools and various services to help people pull themselves out of poverty. 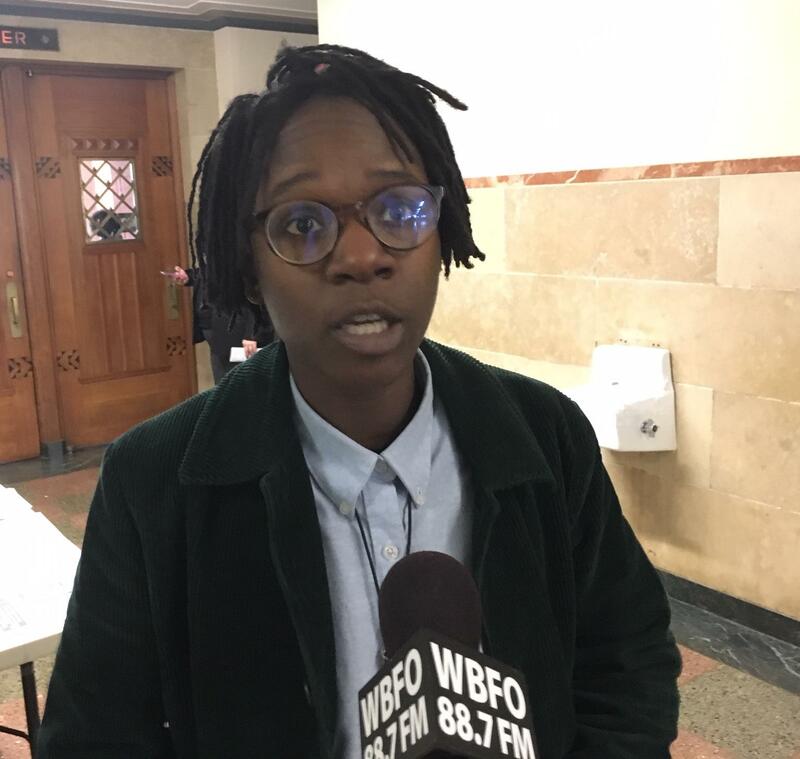 "I was born and raised on the East Side of Buffalo, New York, right over by the Bailey-Genesee area, and I was able to witness firsthand what I now understand to be the racial wealth divide in this country," said Ebele Ifedigbo, co-founder and co-executive director of The Hood Incubator. The California-based nonprofit works to increase participation of black and brown communities in the legal cannabis industry at it grows across the nation. "What the data support is the fact that black communities, in particular communities of color at large, have taken on the majority of the risk that's been associated with marijuana being illegal whether that's the loss of our civil rights the loss of our economic mobility or the loss of our actual lives," Ifedigbo said. In Colorado, Ifedigbo says the industry created over 18,000 full-time jobs and New York is a larger market. "This is the biggest industry to come online, besides the tech industry, probably since the alcohol industry. So I want to do my part to make sure that given the context of the racialized war on drugs that the folks who have been harmed who have been oppressed now actually have an opportunity to seek some redress and actually gain benefits and level the playing field here." Ifedigbo says there are more opportunities than just growing cannabis and running dispensaries. "So whether you're doing marketing, whether you're doing legal services, whether you're skilled in lighting and heating and you can help these large scale operations get their lights together or get their facilities in order," Ifedigbo said. But the local business community is opposed to Albany helping the marijuana industry grow. 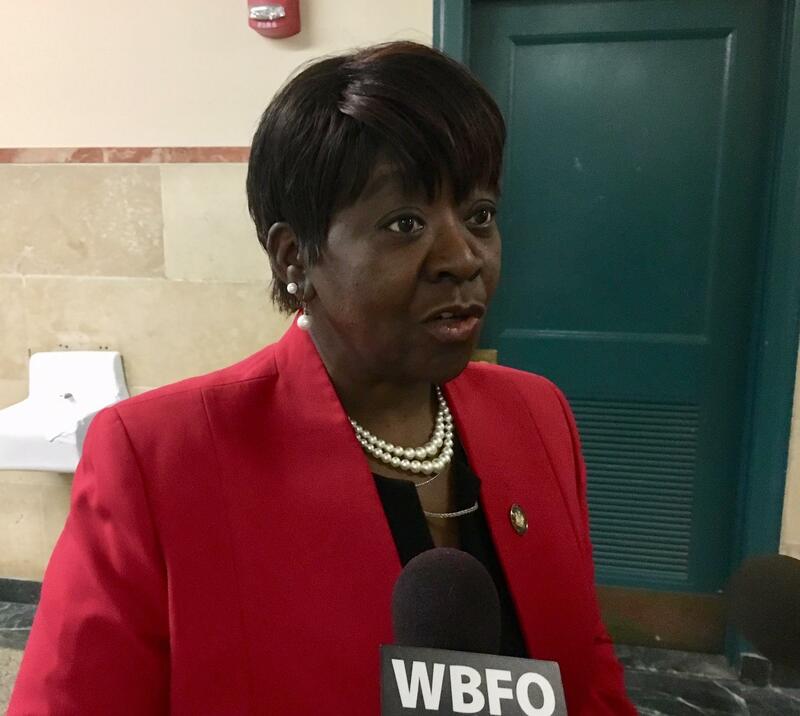 "Whatever financial benefit there is from the legalization, if there is one, should go into reducing the tax burden on state taxpayers," said Dottie Gallagher, president and CEO of the Buffalo Niagara Partnership. She says high taxes put New York next to last in business competitiveness. As for helping create new jobs? "We have plenty of unfilled jobs right now. I think it's not about net new jobs it's really about helping people who have talent that is not being properly utilized and upskilling folks to get into higher paid wages," she said. Gallagher says some companies are concerned about finding new employees and complying with drug-free work place regulations. "When we already have employers that are telling us that they'll lose about 50% of the applicants at the drug testing point of hiring," Gallagher said. 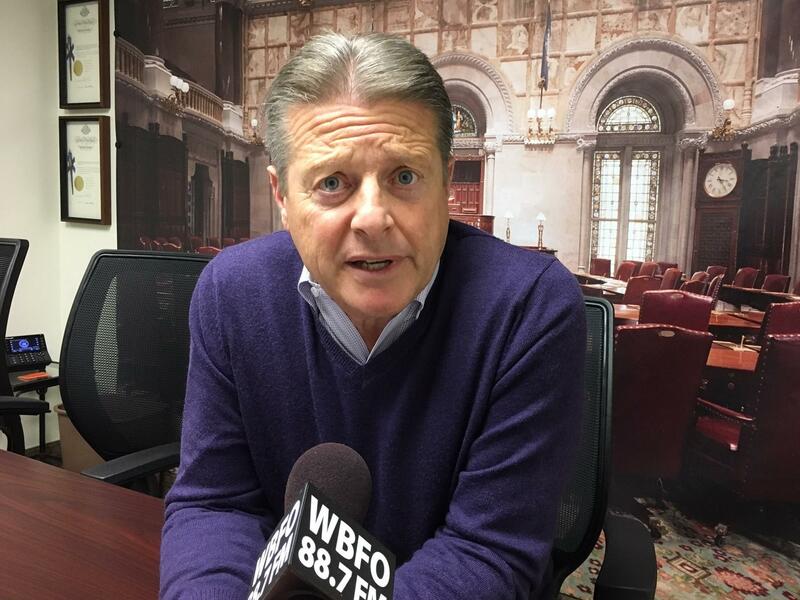 Former Erie County sheriff and state senator Patrick Gallivan says the impact of marijuana on public health and safety is still unknown. Gallivan says he is not sold on targeting revenues to grow the industry. "That is not to say that the direction that the assemblywoman is trying to put it in is not a good or a bad thing. Just simply the general premise of targeting revenues for a specific purpose hasn't worked in New York state. So why do the same thing that the state hasn't held true to over the years," Gallivan said. 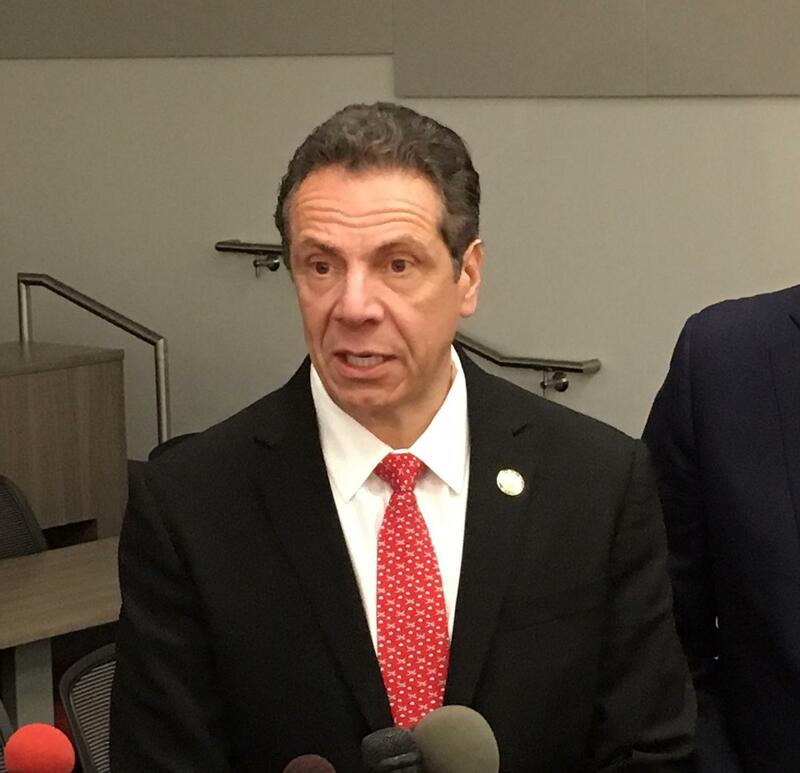 Even though the estimated $1 billion in new revenue "is a lot of money," Gallivan says it's still significantly less than one percent of New York state's overall budget. The latest public listening session on a regulated adult-use marijuana program in New York drew scores of people to Cheektowaga Wednesday night. For more than two hours, the floor was yielded to members of the community who largely spoke out about the pros and cons of marijuana for medical use. Report recommends legalizing pot, but what do we need to learn about it? A new report from the state Department of Health says the potential benefits of legalizing marijuana for use by adults outweighs the potential risks. But there’s concern over public education if legalization goes forward.